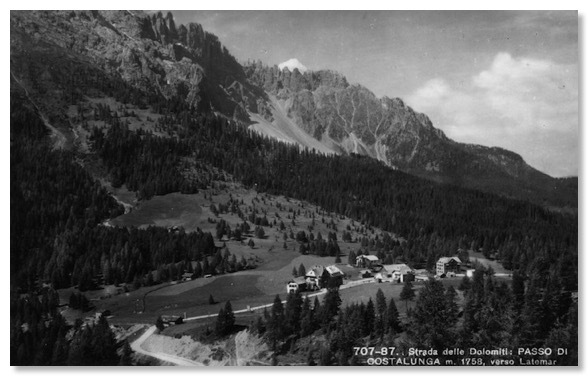 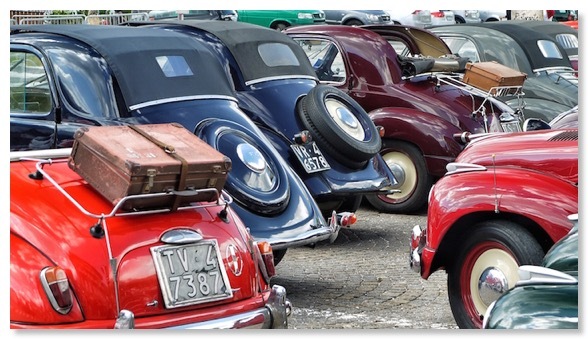 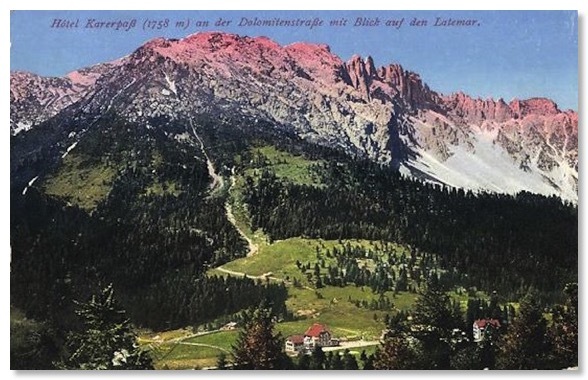 At 1,758 metres, and a few kilometres farther on from the Hotel Lago di Carezza, the Passo Costalunga or Karrer Pass is the summit of a steady 1,500m height gain from Bolzano along the Great Dolomite Road. 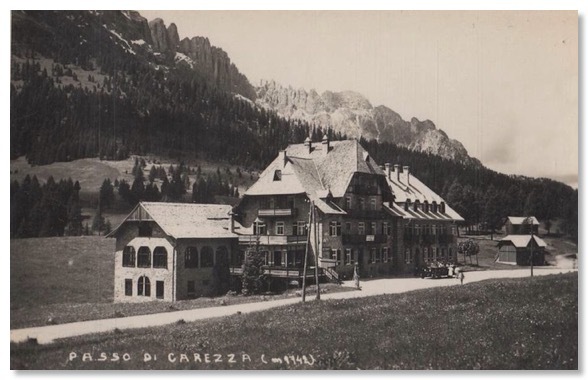 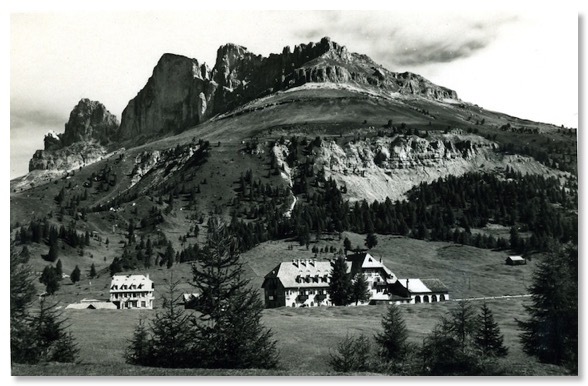 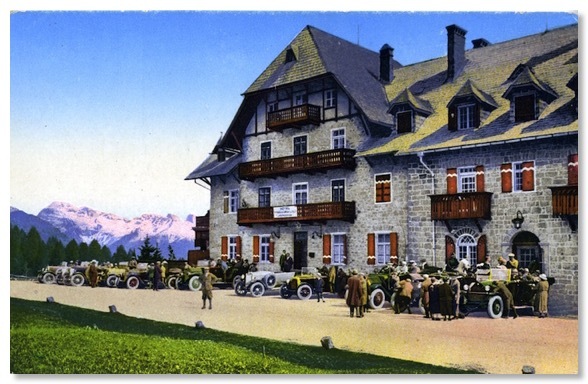 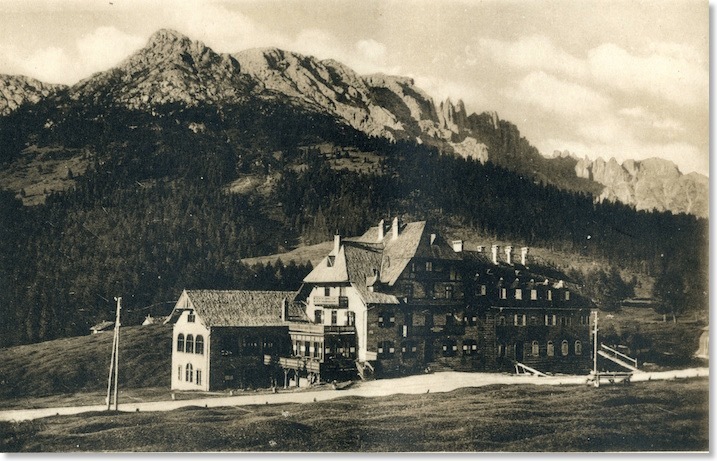 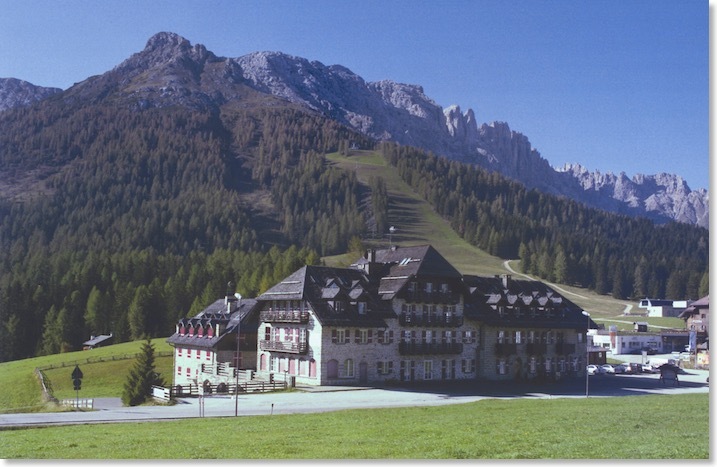 Save for evidence of the skiing industry on the wooded slopes of the Latemar mountain, the present view of the summit hotel is very little altered at all from Zardini’s visit. 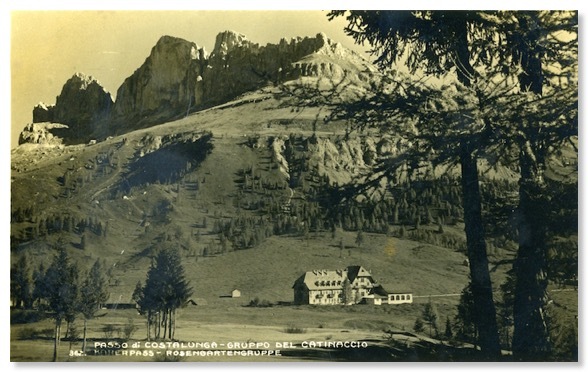 The same photograph is used in both editions of Zardini’s guide. 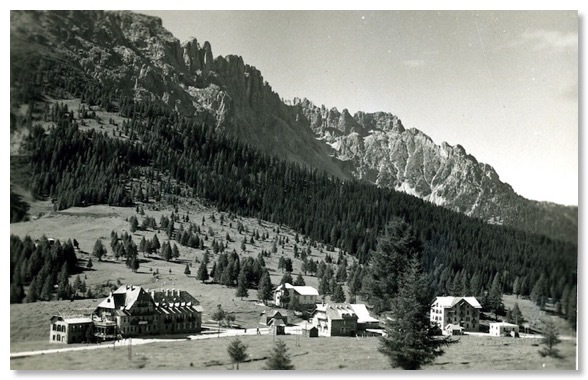 Thankfully, this pass summit has been spared some of the excesses of others in the Dolomites, but it remains a very popular stopping point for coach parties and other tourists in summer, and has seen the encroachment of skiing and its paraphernalia for winter, albeit less so than in some areas.